Sarah Jane Evans DipWSET, MW is an award-winning writer, Co-Chair of Decanter World Wine Awards (DWWA) and this year’s winner of the WSET Outstanding Alumni Award. A strong advocate for education in the industry, she tells us what sets WSET Diploma graduates apart and shares her aspirations for the future. You were voted by WSET Diploma graduates worldwide as an outstanding alumnus. 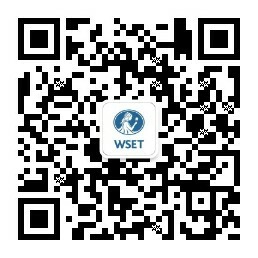 Which WSET graduates do you admire? First off I must say this was a remarkable surprise, and I am really touched to receive it. Thank you to everyone who voted. I shall try to live up to it. The important thing about professional examinations such as the Diploma and the Master of Wine (MW) is that when you pass you join a community where you are all equal. You understand the qualification, because you have been through the process, and you also respect the abilities of your fellows. As a result I have always stressed the fact that we are equals. One may be in charge of a business producing millions of bottles of wine, another may be launching a wine school in a new region for WSET, a third retailing wine online; a fourth running a restaurant. All are impressive people. This is a good place to thank a few people who helped me through my Diploma studies. Most memorably Maggie McNie MW opened my eyes to Champagne – and to excellence generally; Richard Mayson, with Port; and Stephen Skelton MW who performed the remarkable trick of giving me a deep interest in rootstocks, which I retain to this day. If opening the envelope with my Diploma result was like the engagement party, then passing the MW was like the hen night, wedding and honeymoon rolled into one. In your time as Chairman of IMW, how did you find WSET Diploma graduates compared to students from a different educational background? There are two benefits of the Diploma. First is that Diploma graduates come to the Study Programme with a structure. The MW Programme is all about self-study. You have to build your knowledge. At the outset each student comes with different experience, and over the two years they have to fill in the gaps. As an Arts graduate my big gaps were things like pH and SO2. But I learned to love them, thanks to David Bird MW’s Understanding Wine Technology, and some friendly winemakers. The second benefit is the breadth of coverage of the Diploma. That includes the fortified – Madeira, Port, Sherry. Time spent on the Diploma can be time saved on the MW. Once on the MW Programme you need to find ways to keep on tasting and accessing wines, but the Diploma gives you a good start. You have received a number of industry awards in Spain. What is it about Spanish wines that captures you? It was Spain that captivated me first, rather than the wine, but only just. I lived and worked in Spain during my gap year, and fell in love with the place, the people, the gastronomy, the culture, the history. Subsequently at Cambridge University, Fino Sherry was what we drank with our supervisors. If it wasn’t Sherry it was wine, and a fair amount Spanish. I travel to Spain very regularly. I go to research, to speak at conferences, to consult, and to holiday – our children’s godparents are Spanish and we all love Spain, and Spanish wine and food. It’s a country that fulfills all my vinous needs: red/white/rosado; traditional method sparkling/still; sweet/fortified; Mediterranean/Atlantic/continental; volcanic and island wines; matured in barrel/amphora/concrete egg; orange wines and the real classics. In addition, when I enjoy a wine there’s a strong connection to the people and place it came from, and I feel that strongly. What is particularly fascinating about Spain now is that there is a new generation at work, developing family vineyards or recuperating forgotten ones. There are some glorious wines to be discovered. What are you most proud of achieving so far in your career and what are your aspirations for the future? If opening the envelope with my Diploma result was like the engagement party, then passing the MW was like the hen night, wedding and honeymoon rolled into one. So many people help you on the way, but in the exam room you are own your own. So it was a great personal achievement. My husband and daughters would shout if I didn’t mention them. I am so proud of them full stop. But I should add that they have been a terrific support in my career. Richard would set up 12-wine blind tastings and exam questions for me in the morning before leaving for work. And the girls have opened endless bottles for my tastings over the years. They and my husband have been very long-suffering in not touching my samples either! I am very lucky to be working in such an absorbing international industry. There’s always a fascinating new project to be involved in. Specifically in 2018, my book on the wines of Northern Spain is coming out. It’s the first book on this area for a decade. There’s lots of information to update and plenty of change. Then in June 2018 there’s the IMW Symposium in Logroño, Rioja. I am chairman of the Organising Committee, and it’s going to be a great international event. I also look forward to continuing to support and encourage new entrants to the industry, and showing them what a diverse place it is. What has been the most significant change you have seen in the wine industry since starting your career? The wine industry is not the traditional, classical, male-dominated business it was when I entered it in London. We work in an absorbing international world. Writing this in London at the end of 2017, the wine industry faces many imponderables. It will be hard to plan for a future that is at the moment uncertain. That’s when education comes in. A well-trained team is much better equipped to cope. I hope therefore that businesses will commit themselves to properly structured staff training, including time to study. A big ask, I know.